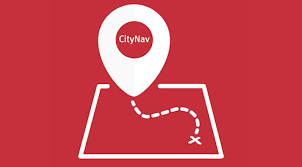 CityNav is our mobile app to help you find your way around campus, even inside our buildings. Our free mobile app will help you find your way to our rooms and buildings across campus. Please ensure to be vigilant when using your device in public areas. Apple devices running iOS 8.1 or later. Android devices running Android 4.4 or later. Ensure care and attention is taken when using CityNav and consider obstacles, steps, stairwells and other people while navigating City’s campus. Visitors to City are advised to search for routes to main receptions that do not require a swipe card for entry. When moving indoors, we will try to determine your position but there is a risk that your position may not be exact. Floor plan data in the app is updated 4 times a year. We try to schedule this to account for the majority of building and maintenance work but due to our rapidly evolving campus, sometimes the plans may not account for the latest room closures and changes.